The Artists at Beauty Pools take backyard dreams and shape them into breathtaking architecture, making sure that your destination comes together as envisioned. 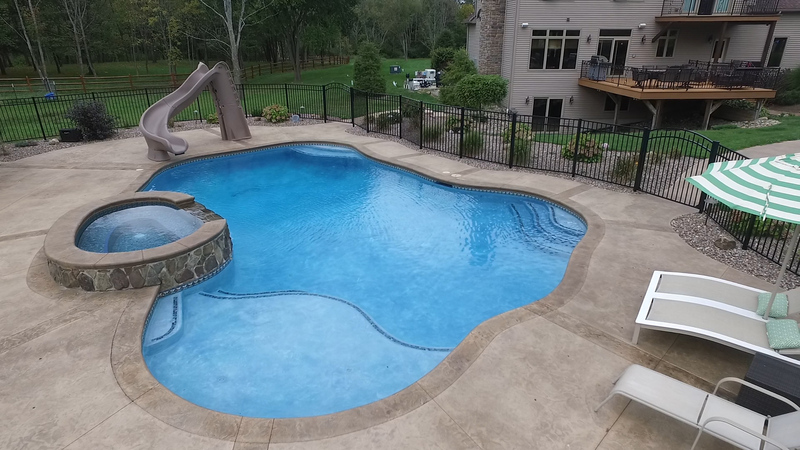 Beauty Pools is Western New York’s largest custom in-ground pool builder and a member of the prestigious, internationally renowned Master Pools Guild. We’ve built thousands of residential and commercial pools utilizing the latest advancements in construction technology. May we build one for you? Your Backyard Should Be a Destination. Let your creativity run wild. Wherever your imagination takes you, from spas and waterfalls to streams, lagoons, or other water features, we have the engineering know-how to create your one-of-a-kind retreat from the world. Before you invest in a pool, consider this: We feel that serving our customers after a pool is built is of prime importance to our customers, as well as to ourselves. During the years we have developed a service organization to maintain our pools offering you a knowledgeable staff, full service department, pool accessories, patio furniture and all the pool chemicals necessary to keep your pool in top-notch condition. Ever since Beauty began we’ve been riding the leading edge of pool technology through invention and innovation. It’s these details that help us to exceed our customer’s needs. Our pools are designed for your backyard; blending the shape, size, style and finish of your pool with the landscaping elements of your existing environment, or we can create an entirely new setting. We’ll walk you through every step to help ensure the ideal package for your lifestyle and budget. ALL YOU HAVE TO DO IS ADD THE WATER!! Because your backyard should be a destination, we’ll make sure your Beauty Pool is an asset that will be a source of great pleasure season after season.